There are a lot of decisions to make when it comes to home improvement. These include the materials you will use to complement and, more importantly, to enhance your home’s look, stability, protection, energy efficiency, comfort and overall value. For example, you need to consider your siding material. Selecting the right siding material is crucial as it will be your first line of defense against the harmful effects of weather. It’s also an important part of your home’s wall assembly. To simply put it, siding serves as your home’s skin. Naturally, you’d want it to look good and perform well. Two of the top siding material options today are vinyl and fiber cement. If you’ve been wanting to learn more about these two viable choices, you’ve come to the right place. This definitive guide will fill you in with the basics, which can hopefully help you make that crucial choice. SIDING POWER. Your choice of siding material can tremendously help improve not just your home’s appearance, but its indoor comfort, energy efficiency and overall value, too. Vinyl siding made its debut in the late 1950s and began gaining traction in the early 1960s. 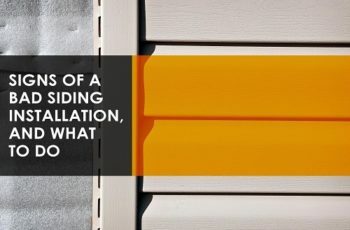 Even though the earliest vinyl siding options gained quite a bad reputation, manufacturing advancements throughout the decades have made the vinyl siding we know today to be a material worthy of investment and praise. It is now chosen for over 30% of new home construction in the country, and the numbers just keep on rising. Vinyl siding comes factory-finished, and it won’t require repainting every few years or so, unlike other materials. Aside from periodic cleaning – which is very easy to do, mind you – there is practically nothing you should care about in terms of maintaining vinyl siding. Simply hose it down, and wipe with clean cloth to maintain its appearance. Furthermore, vinyl siding is also resistant to pests and rot, so you can expect it to look as it did when it was first installed in the years to come. CURB APPEAL. 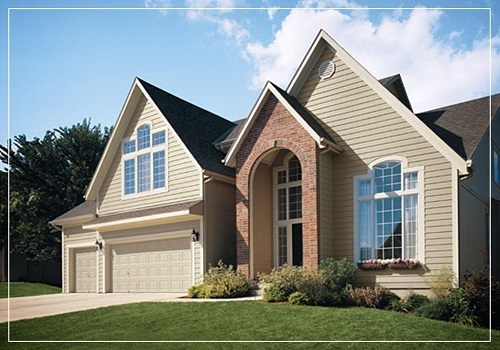 Vinyl siding can help improve your home’s exterior and curb appeal at just the fraction of the cost. According to the Vinyl Siding Institute (VSI), there are over 350 vinyl siding colors available for consumers. VSI-certified vinyl siding options are independently tested for temperature resistance and color retention. Moreover, vinyl siding is available in different profiles. You can choose from the usual panel profile, but you can also choose from more artistic options: scallops, shingles and fish scales, among others. Vinyl siding panels can also be installed horizontally or vertically. There are even different overlapping techniques that you can apply to give your home a more distinct appeal. Vinyl siding, although affordable, is made to withstand typical wear and tear brought upon by the elements. These include heavy winds, rains and hail. Vinyl siding is also moisture-resistant, so it won’t rot over time. To back this claim, most vinyl siding options are covered by comprehensive warranties. Insulated vinyl siding offers a cost-efficient way to prevent heat loss and heat gain around your home, which is known as thermal bridging. 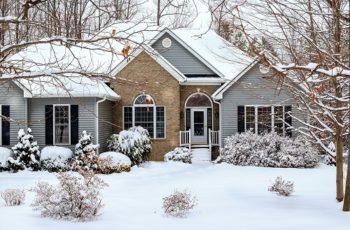 By installing insulated vinyl siding, heat loss during winter and heat gain in summer are prevented, letting you enjoy comfortable indoor temperatures throughout the year. This also results in energy savings as your heating and cooling systems wouldn’t have to work any harder than they normally would. Fiber cement siding is made from a composite material that combines cement, sand and reinforcing cellulose fibers. Just by looking at the materials that compose it, you can pretty much tell how well it will do when used in cladding a home. Although it’s a relatively new option, fiber cement siding has continuously been popular among homeowners who wanted to invest in siding that is rated to last for many years and offer other benefits along the way. Here are the known benefits of fiber cement siding that you can enjoy once you decide to invest in it. 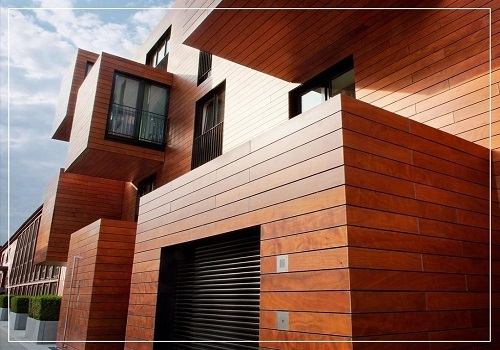 One of the biggest advantages of fiber cement siding is how it can provide any home with a distinctly elegant look. As this type of siding can be designed to look like others, you can easily achieve the look you’re going for without having to deal with the disadvantages associated with some types of siding. For instance, you can get fiber cement siding panels or shingles that mimic the look of wood siding sans the pest and rot worries. 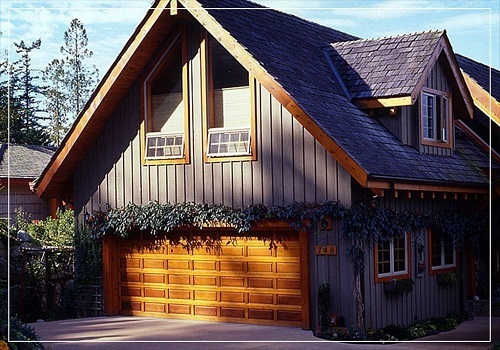 You can also choose from a wide variety of unique and authentic fiber cement siding styles and profiles. When you install fiber cement siding, you won’t have to worry about mold, mildew, rot and termites, among other issues, that commonly come with other siding types. Fiber cement siding is weather-, moisture- and fire-resistant. As fiber cement siding can resist common causes of siding wear and tear, it is deemed highly durable. It is rated to last for several decades while maintaining its appearance. It’s not easily scratched or dented, and won’t expand or contract when exposed to extreme temperatures and humidity. Some types of siding are flammable and may even cause a fire to spread. Fiber cement is not only heat-resistant but fire-resistant as well. You won’t have to worry about your siding catching fire when you have a barbecue party outside. Furthermore, because it is heat-resistant, it won’t absorb heat into your home, helping maintain comfortable temperatures during summer. Fiber cement siding is not as difficult to install as other types of siding. This means you can save on labor costs as long as you work with an experienced and honest home improvement or siding replacement contractor. Siding can undoubtedly make or break the appearance of any home. It can also affect how well it can withstand common sources of issues, including weather and pests. This is why your siding material choice should be deemed very important. 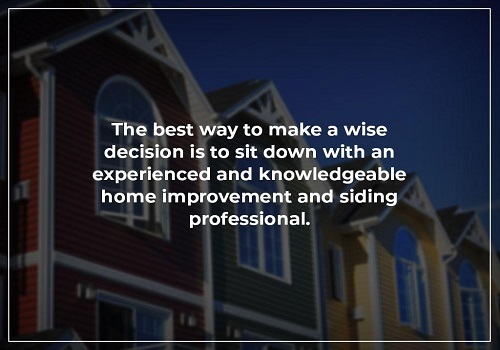 The best way to make a wise decision is to sit down with an experienced and knowledgeable home improvement and siding professional. Tell them about your needs. Do you want the most affordable option that offers considerable benefits, or do you want a more elegant material that will last for decades? As your needs are unique from that of other homeowners, consulting a professional will help you properly and confidently assess your requirements and options. William Krech, known to his family, friends and colleagues as Bill, is a home improvement expert that specializes in exterior improvement, from roofs to doors. During his free time, he loves sharing tips and information not only to their company’s clients, but also other homeowners. Check out Krech Exteriors’ company blog for his articles and updates.